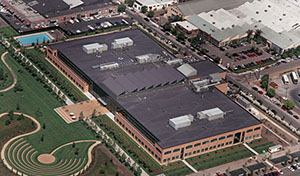 When it comes to an EPDM roofing product we find Firestone to be an industry pioneer and leader. Our company has proudly used Firestone EPDM products for many years. Firestone's high quality synthetic rubber compound is the foundation for RubberGard™, the industries premium grade EPDM roofing membrane. With superior durability, flexibility and UV resistance, RubberGard™ EPDM is the smart roofing solution for any application. From office buildings and distribution warehouses to hospitals and schools, RubberGard EPDM delivers outstanding, long­lasting performance in all climates worldwide. Don’t just cover your roof; guard it with Firestone’s RubberGard™ EPDM membranes. Call Bella Vista General Contractor today for a free estimate on Firestone EPMD Roofing Systems.